BJP requested the state government to consider the programme with 'utmost expedition' under the guidelines of SC. 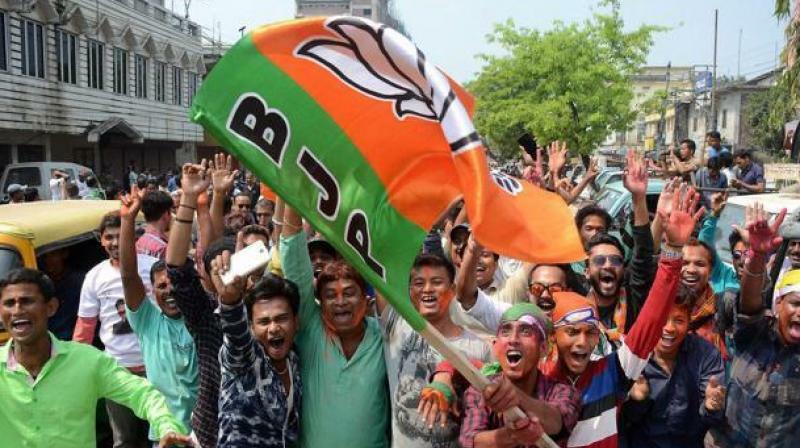 Kolkata: The West Bengal BJP unit Thursday submitted a letter to the state government, giving details about their 'Save Democracy Rally' in the state. BJP's state vice president Jay Prakash Majumdar went to the West Bengal secretariat and submitted the letter which mentioned about holding four yatras in the state. The Bharatiya Janata Party requested the state government to consider the programme with "utmost expedition" under the guidelines of the Supreme Court. The BJP said the yatras would be "a political endeavour of connecting with the people in a peaceful manner. It will not sponsor or subscribe any communal message or insinuations". The state BJP unit also described that the four yatras would be aiming "to connect people towards strengthening the democratic as well as secular system and practices of our nation, of which the state is a significant part". "All kinds of law of the land and regulations will be maintained and a close coordination with the local administration will be maintained for mutual cooperation," the party's letter mentioned. "Sensitivity of people from different caste, creed and religion will be adhered in an exemplary manner," the letter added. The BJP also urged a meeting between the state government authorities with them in case of any required discussions. The proposed 'Rath Yatras' of the BJP in West Bengal were put on hold by the Supreme Court Tuesday, which asked the party to seek a fresh approval from the Mamata Banerjee government in the state by submitting a revised proposal. The apex court, however, allowed the West Bengal unit of the BJP to continue with its proposed public rallies and meetings under its 'Ganatantra Bachao Yatra'. The court asked the Trinamool Congress (TMC) government in the state to consider the fresh, revised proposal of the saffron party, keeping in mind the fundamental right of freedom of speech and expression guaranteed under the Constitution. The top court said the state government should respond to the revised proposal of the BJP with "utmost expedition", keeping in mind that with the commencement of the CBSE and other board examinations, the use of loudspeakers might be banned.